The National Transportation Safety Board has issued an update into it's investigation into the deadly crash of Amtrak 188 on May 12th in Philadelphia. 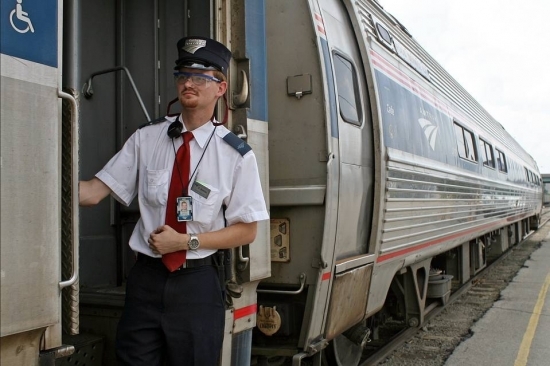 Through analysis of the train engineer's phone, cell tower transmission records, and Amtrak's on board wi-fi system they have determined that no phone calls, texts, or data was transmitted during the time the engineer was operating the train. They still have not been able to determine if the phone was off or in 'airplane mode.' That will require a more detailed examination of the phone's metadata files. Engineer Brandon Bostian provided the NTSB with his phone's password so they could access it directly. He suffered a head injury in the crash and does not remember what happened leading up to the crash. The train accelerated to 106 mph before entering the curve and flying off the tracks. The speed limit is 50 mph in that area. Eight people died and over 200 were injured. Read the NTSB's update. An inmate who escaped his road crew work detail in North Wilmington yesterday has been captured. 25-year-old Isaiah Thompson fled around 10:20 a.m. Tuesday along Governor Printz Boulevard near Cauffiel Parkway and then headed toward Stoney Creek. At around 2:00 a.m. Wednesday, security called police to the First Data Corporation building in the 1100 block of Carr Avenue for a break in. The building was searched but nothing was found. After reviewing tapes they saw that someone did break in and was hiding. Police brought the K-9 units in to sweep the building. Thompson was eventually ferreted out and taken into custody. He was previously serving a work release sentence for attempted carjacking. He is now charged with burglary in the third degree, criminal mischief, resisting arrest and offensive touching of a law enforcement officer. A video posted to Youtube on Tuesday shows the interaction between a bicyclist and a Delaware State Trooper in Washington DC. The trooper was assigned to protect Governor Jack Markell and was standing beside an SUV parked on L Street in a bike lane waiting for the governor to exit. The cyclist, who was shooting the video, rode up to confront the SUV driver for parking in the bike lane. The trooper quickly shows the rider his badge and gun and says, "Don't play with me, OK? Keep it moving." The rider complies and rides off. The Delaware State Police are reviewing the matter to see if there were any policy violations. As an avid cyclist and governor of the third most Bicycle Friendly State in America, the Governor knows keeping bike lanes clear is critical to the safety of everyone on the road. He understands the concerns being expressed regarding yesterday's incident in D.C., in which a State Trooper assigned to protect the Governor idled his vehicle in a bike lane while waiting for him to exit an event. Law enforcement officers must sometimes block lanes of traffic in order to do their job effectively and the Delaware State Police will be looking at how the officer handled this situation. The Governor appreciates all that our law enforcement officers do and trusts the Delaware State Police will handle their response to the incident appropriately. Mostly sunny, temperatures in the low 80's/upper 70's this evening in Center City.